Whether you’re renovating your outdoor area or looking to revamp it, there are a number of things you can do to lend Mother Nature a helping hand. There are a number of ways to create a more an eco-friendly outdoor area. Some of these tips are simple, others are more time intensive but they will all provide you with a way to create a space that is individual to your style whilst creating a sustainable outdoor area. Here are 6 ways to create an eco-friendly outdoor area where you’ll love spending your time. 1. Plant a herb garden. When it comes to gardening and planting different herbs, it’s all about working with nature, not against it. Your patio area can take on a range of different herb gardens depending on the design you want. You can create one big herb garden or place different herbs in different planters and surround your outdoor space with them. Growing your own herbs will save you money and provide you with fresh herbs all year round. 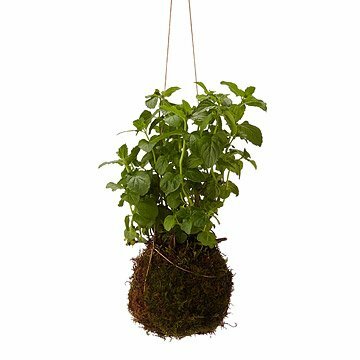 Quick tip: If you live in an apartment or simply want the smell of fresh herbs indoors, why not try an indoor herb planter? They are perfect for a window sill or even as a table ornament. 2. Plant a rain garden. The ideal outdoor area should incorporate native plants that can become a habitat for birds, bees and butterflies. A rain garden is a low area that combines a range of shrubs that are tolerant to both wet and dry conditions. They can be arranged to suit your personal taste and are easy to maintain all year round. Planting plenty of native plants will provide food and shelter to surrounding wildlife. Quick tip: Find a sunny location more than 10 feet away from your home. You want to create a rain garden where the water will soak into the soil relatively quickly, not stand for a long period of time. 3. Encourage birds and bees. A report by Independent Australia explains how there is currently a worldwide shortage of bees due to a phenomenon known as Colony Collapse Disorder. It’s a huge problem that should be addressed. Especially because at least one third of all the food we eat needs pollination from bees. You can help by planting wildflowers, fruit and vegetables to attract bees to your garden. Even letting your yard grow freely will encourage birds and bees to your garden. Not only will you be helping you will be able to enjoy a beautiful garden full of nature. Quick tip: Avoid the use of new class pesticides known as neonicotinoids. They can be fatal to bees and other wildlife that reside within your garden. 4. Reuse your rainwater with pervious concrete pavements. With typical pavement or asphalt in your backyard, rainwater will simply run off the side. This traditional form of pavement may pick up contaminants and end up in lakes or streams. Pervious concrete pavements will allow water to percolate into the underlying soil, helping to nourish and grow your garden. Quick tip: If you invest in pervious concrete pavements you won’t need to water as much. They are perfect for directing more water to tree roots and other landscaping in your outdoor area. 5. Install solar-powered outdoor lighting. Naturally you will need outdoor lighting to enjoy your outdoor area at night. Whether you plan on hosting outdoor BBQs or you just want to highlight your interesting landscape features, you will need good lighting. Installing outdoor lighting can be very easy when it comes to creating an eco-friendly outdoor area. Solar powered lighting is widely available at affordable prices. You can purchase them from most garden or online stores. Solar powered lighting collects power from the sun during the day and lights up your outdoor area at night. This allows you to show off your favourite garden features as the sun sets and guests arrive. Quick tip: If you enjoy burning candles at night, ensure you burn all natural options that are made from soy or beeswax and scented with essential oils. 6. Invest in eco-friendly outdoor furniture. There’s nothing better than relaxing in the great outdoors. Sit back, relax and enjoy the birds and bees that are enjoying your new eco-friendly outdoor area. If you’re looking for the ultimate eco-friendly furniture to go with your new ecofriendly garden here’s what to look for. There are three types of materials that will work best and they are durable woods, recycled plastic and stainless steel. Quick tip: Recycled plastic furniture is great because it’s durable, water resistant and low maintenance. Unlike wooden furniture, it won’t rot or splinter and doesn’t require any work like sealing or painting. Plastic outdoor furniture won’t be affected by any type of weather.